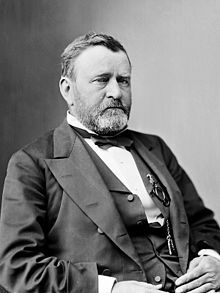 Leading Successful and Dynamic Schools: A Lesson Learned From Ulysses Grant's "Click Moment"
A Lesson Learned From Ulysses Grant's "Click Moment"
Ulysses Grant didn't have any direction in his life as a civilian. He wandered from the military to farming and then of all things, to sales at his father's tannery. The Civil War delivered to him his life's calling- leadership. Michael Korda, in his brief 2004 biography on Grant, speaks of the first time after the beginning of the war that Grant was thrust into a commanding position, "The uncertainty and sense of failure that had haunted him as a civilian seemed to drop away from him instantly." Something "clicked" for Grant after he arrived to take command of a regiment that he found literally "ragged and barefoot." Educators who strive to become leaders will likely have the moment when all of their experiences come together in a "click." It was only after 15 some-odd years that all of my failures and successes intersected to give me the confidence that I now employ to lead schools (I am in my 21st year in the profession). The research on learning-by-failure and success is often discussed in the private sector. The Harvard Business Review dedicated its April 2011 magazine cover story to the subject, pointing out, "The wisdom of learning from failure [and success] is incontrovertible." School leaders have as much room for failure (and success) as corporate leaders. I have written extensively of successful businessmen (Gates), sports heroes (Jordan), and presidents (Roosevelt) who improved upon years of setbacks and progress to do great things, but there are few exemplary educational leaders I know who have had the guts to speak emphatically about their life-lessons. I wish more of us had the confidence to share what we've done wrong and what we've done right in our professional lifetime!